Set out in bowls as a dip for your favorite snacks. Crackers, pretzels, cheese, and bread sticks are some of the favorites. Mix with cream cheese for use as a spread on Bagels and English Muffins. Mix with sour cream and use as a dip on vegetable platters. Cajun-Onion mixed with Horseradish for Shrimp. Add to a small amount of water and spread over your favorite roast or baked entree. 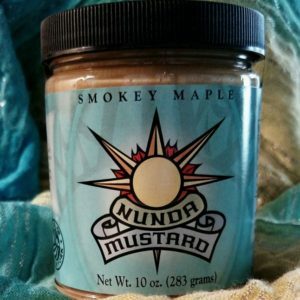 Ham with Smokey Maple or Garlic Nunda Mustard. 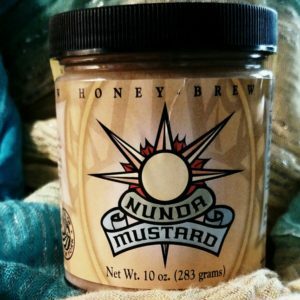 Honey-Brew Nunda Mustard on baked chicken. Actually any flavor is good! Roast Beef with Horseradish-Caraway Nunda Mustard. 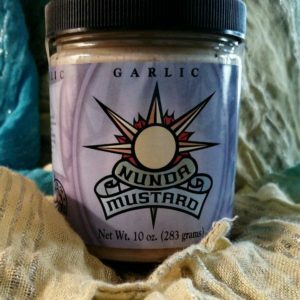 Broiled fish with Garlic or Cajun-Onion Nunda Mustard. Add 1 or 2 Tablespoons of Tangy to your cold salads for a little added ZING! Macaroni Salad. Potato Salad Pasta Salad. Egg Salad or even Deviled Eggs! Use to spice up your same old boring salad dressings. 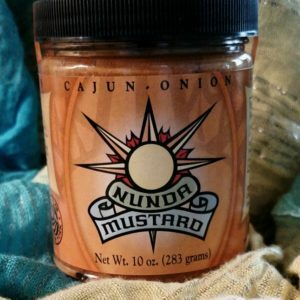 Nunda Mustard is a must for all your Barbecuing and Picnicking Adventures. Especially a nice surprise to find in your lunch box! 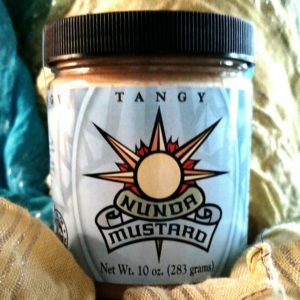 Hot dogs and hamburgers with any flavor of Nunda Mustard are always a big hit. Fried Egg and Garlic Nunda Mustard. 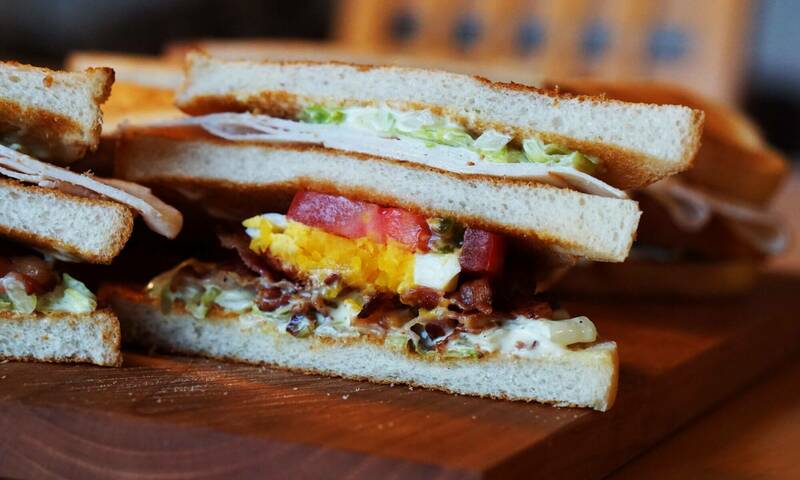 Grilled Cheese with Tangy Nunda Mustard. Wake up that everyday cold luncheon meat with any flavor that strikes your fancy! 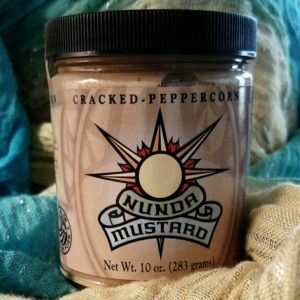 Add any flavor Nunda Mustard to spice up your white or brown rice dishes. Believe it or not, try Honey-Brew on Corn on the cob instead of butter! 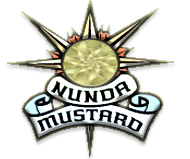 Add a dash of Nunda Mustard to any potato recipe. Scalloped Potatoes appreciate the added attention. Mix into Twice Baked Potatoes. Mix to taste in your Casserole Dishes. 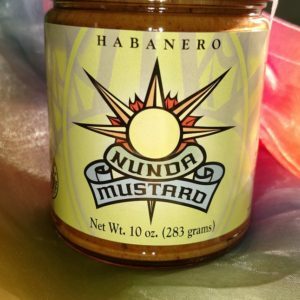 Don’t forget to stir in the Jalapeno Nunda Mustard to any Chili Recipe you can find. Pick your favorite flavor and add to all kinds of Stir Fry for a little zip! 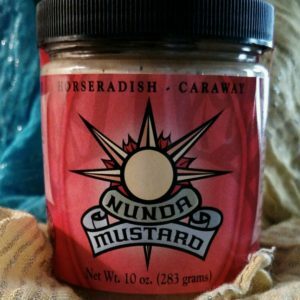 Mix Garlic Nunda Mustard into your favorite meatloaf recipe. Use Tangy and meat drippings as a base for gravy. 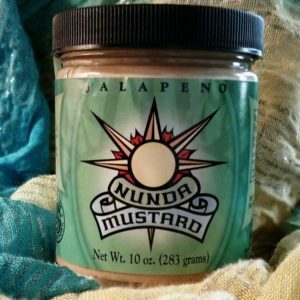 Taco filling will never be the same after Jalapeno Nunda Mustard is added. Cajun-Onion added to Tuna Fish Salad. When all else fails try Nunda Mustard with Your finger!